In my profession, I commonly get the question: “what is the best car you’ve ever driven” or “what’s your favorite car?” While I can never definitively answer such questions without giving a list of favorites or “best” vehicles in a plethora of functional areas, I can say that the new 2018 Mercedes-Maybach S650 is the best riding vehicle I have ever driven. Such a claim isn’t said lightly and without perusing my brain of well-over 1,000 vehicles that I’ve driven in my automotive journalism endeavors. 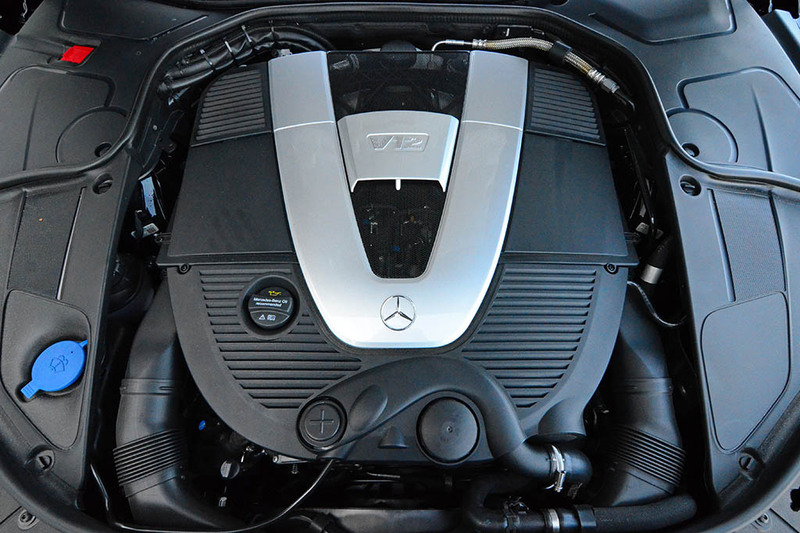 However, I can attest to Mercedes-Benz masterfully creating the best riding vehicle around thanks to many technological advancements and well-thought execution of what is dubbed as a Magic Body Control system. At the upper echelon of the automotive luxury spectrum, there are only a handful of vehicles that serve the purpose of an estate vehicle that is more tailored to having someone chauffeur the owner. In retrospect of what the Maybach vehicle was in the past, it has evolved to capture more of the Mercedes S Class’ multifaceted charm that gives the driver and rear passengers a nearly-equal luxury appeal. 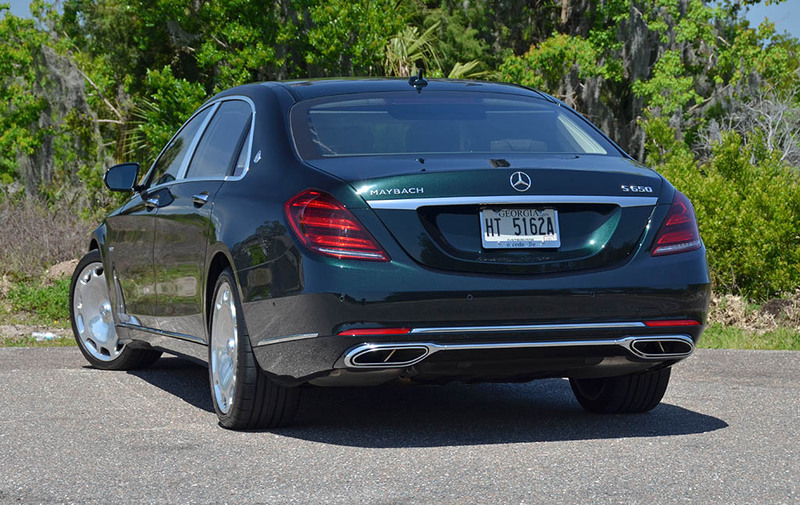 Not to mention, Mercedes-Benz took a slightly different direction to capture more of the essence of the S Class yet in a more plush and luxurious space, and a longer wheelbase to boot. 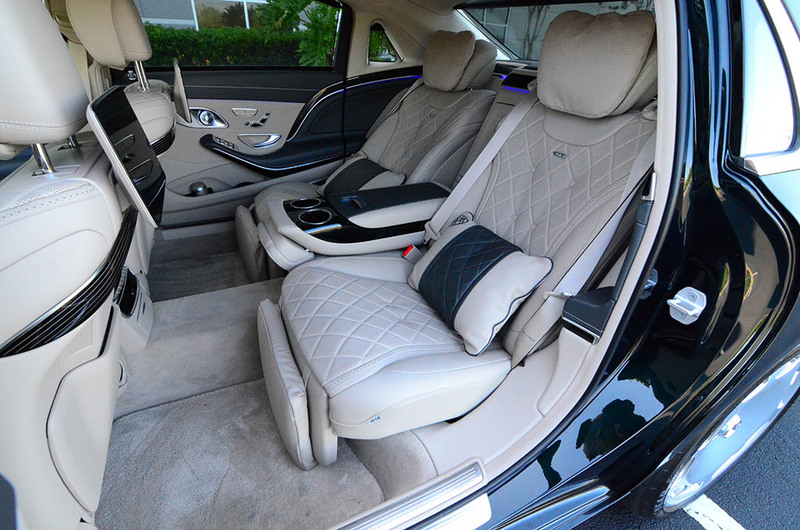 By appealing more to the S Class territory with the brand’s familiar BiTurbo V12 engine mated to a proven 7-speed automatic transmission and an S-Class-clad interior, the Mercedes-Maybach had to receive its own unique character, which is found in the longer wheelbase and added luxury accommodations that fit the bill of a personalized limousine. When it comes to the driver, there are plenty of proper luxury amenities and extensive comforts that afford one to drive the best of what Mercedes has to offer. Piloting such a vehicle is an enjoyable experience, even for enthusiasts. 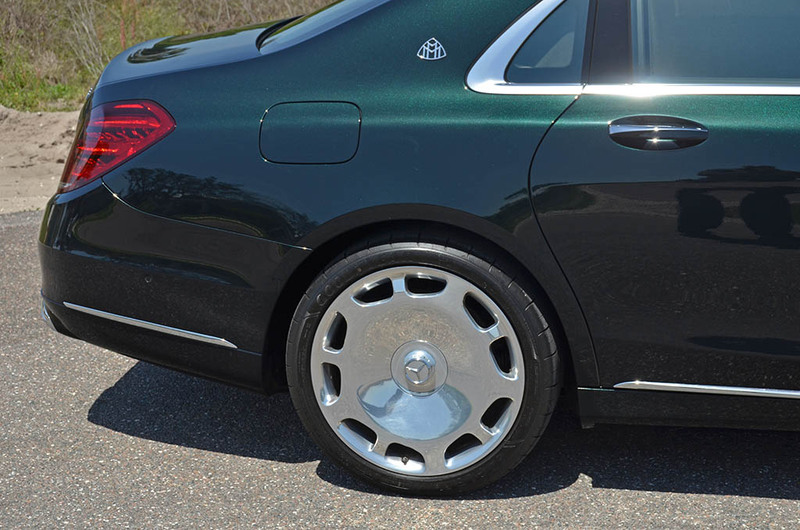 Much of the softness of the new Mercedes-Maybach doesn’t necessarily translate into a hefty boat riding on unique 20-inch forged wheels, which are accustomed to further signify that this vehicle isn’t an ordinary S Class. 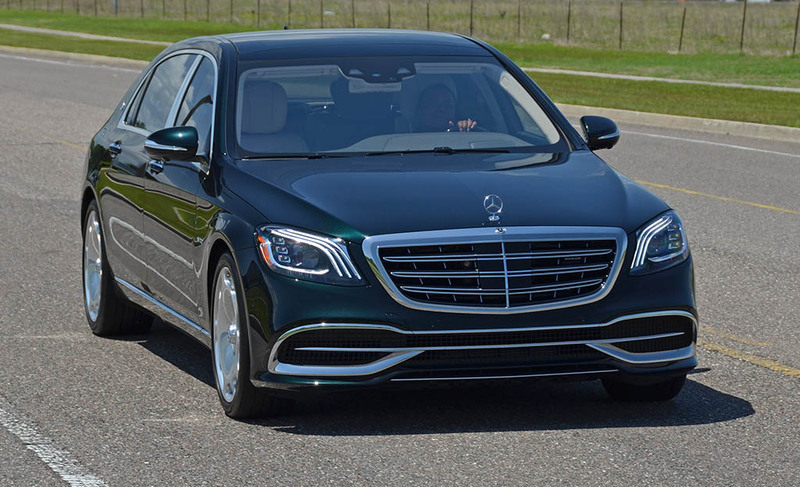 From its elongated aluminum door panels dressed in a delicious Emerald Green Metallic paint to the updated front and rear LED lights, the Mercedes-Maybach tells a story that is full of a well-developed and thoughtful plot. 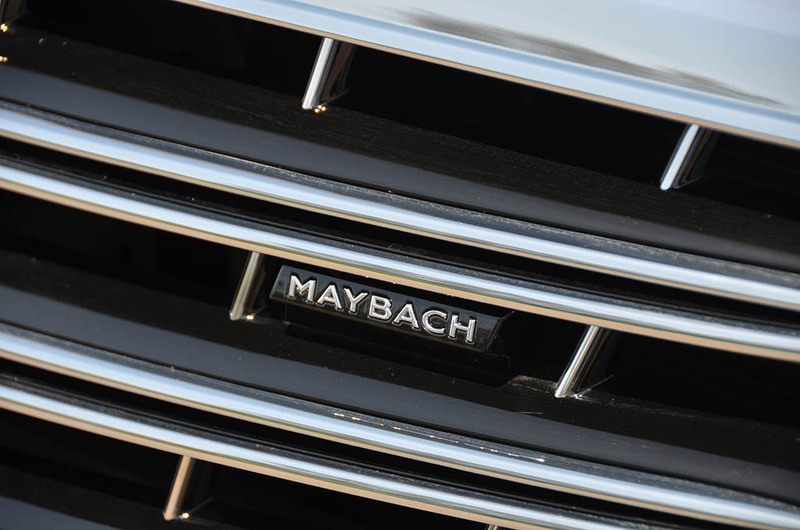 The story of the Maybach dates back as far as 1909 first creating engines for Zeppelins (blimp) and later evolved into other purpose-built powerplants, and eventually the automotive realm in the late 1930’s. 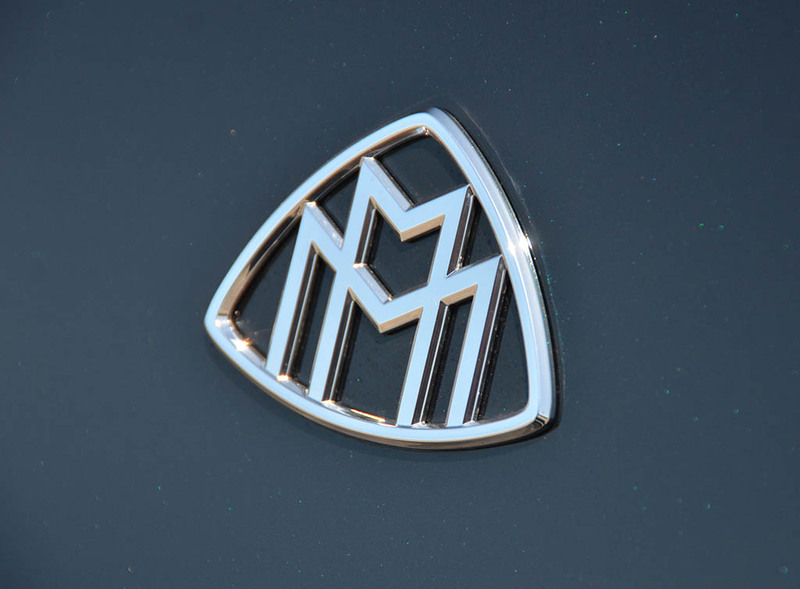 They even supplied engines for German tanks during the Second World War but never ceasing the automotive approach to introduce famed vehicles like the Maybach 42. 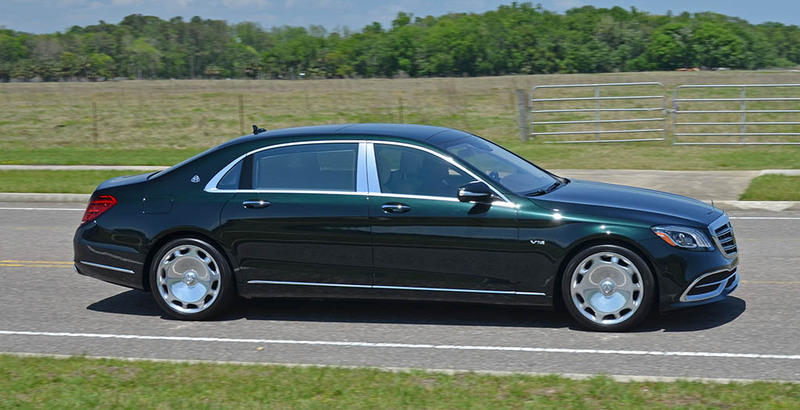 Mercedes-Benz had interest and absorbed the brand and ultimately bringing us what many of us famously remember as the Maybach 57 and 62 during the early 2000s carrying a rather hefty price tag. 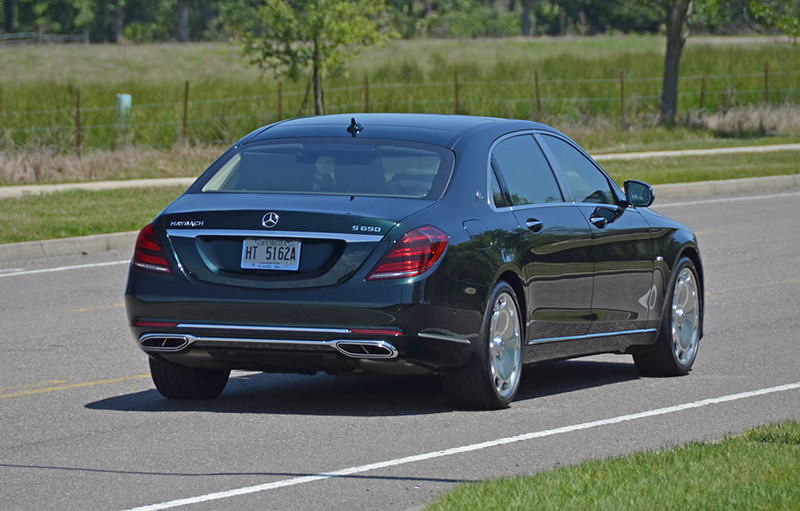 Now, keeping the Maybach name alive, Mercedes moves the unique vehicle even closer to its latest S Class W222 chassis, which when wearing the Maybach badge is for all intents and purposes, a long-wheelbase variation of the S Class that otherwise only comes in one wheelbase for all normal S Class variations outside of the Maybach branding. 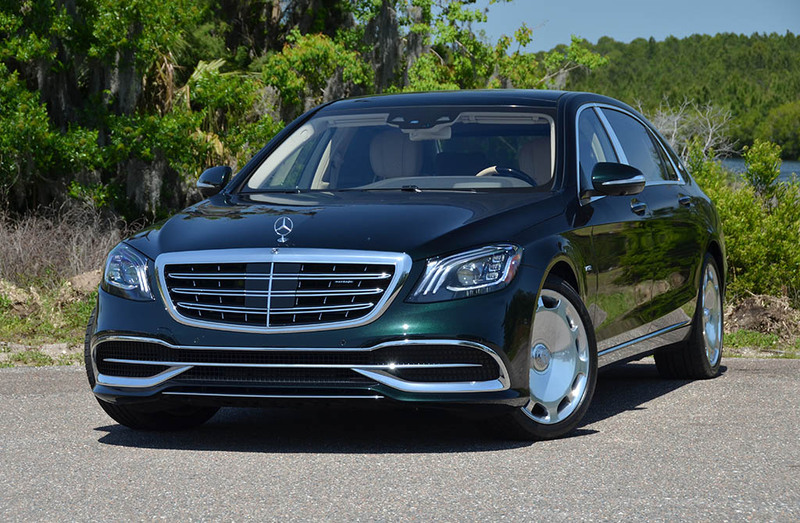 Receiving a refresh for the 2018 model year, the Mercedes-Maybach S650 with its turbocharged V12 engine and 40 inches of rear legroom, divides its front and rear seating up in nearly equal portions where the rear outboard seats feature 12-way power adjustments, heating/cooling, massaging features, and a full array of infotainment and vehicle controls through the two-remote-controlled rear seat entertainment screens. 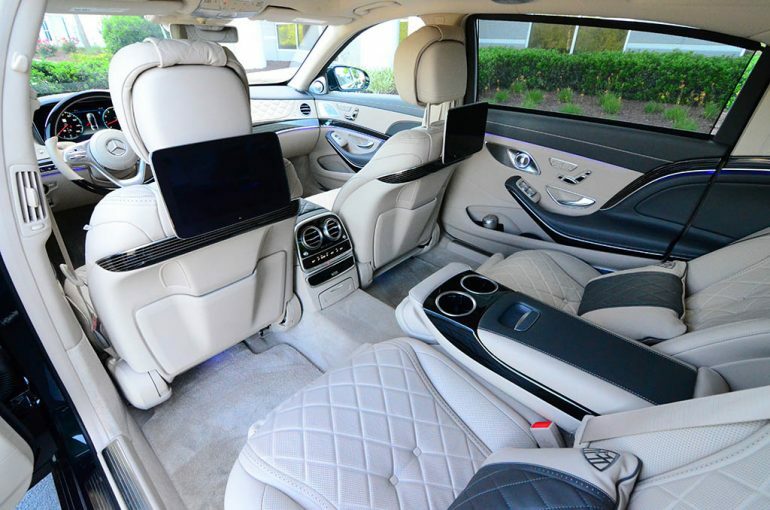 The confines of the rear are accentuated by soft perforated leather surfaces, leather recliners, and enough color-configurable ambient lighting to put Gulfstream’s latest G-Class cabin to shame. 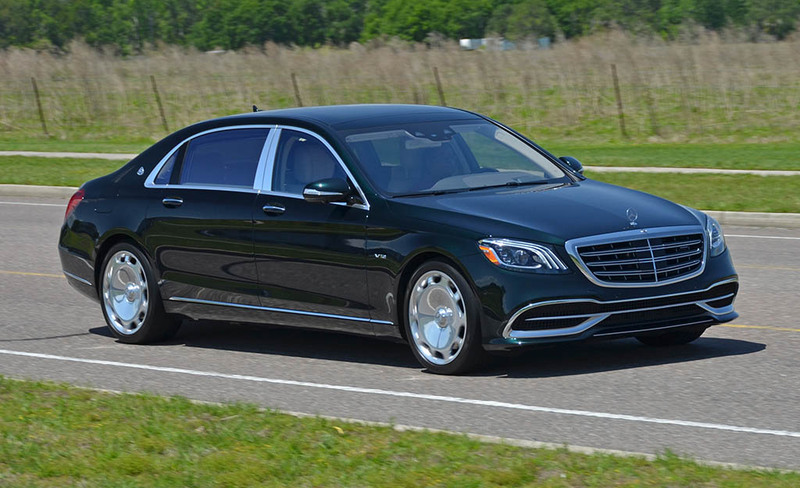 Driving the Mercedes-Maybach S650 is somewhat reminiscent of the AMG S65 with the V12 power at the helm (621 horsepower and 738 lb-ft of torque) and an actively managed air suspension system that virtually reads the road to preload the suspension. 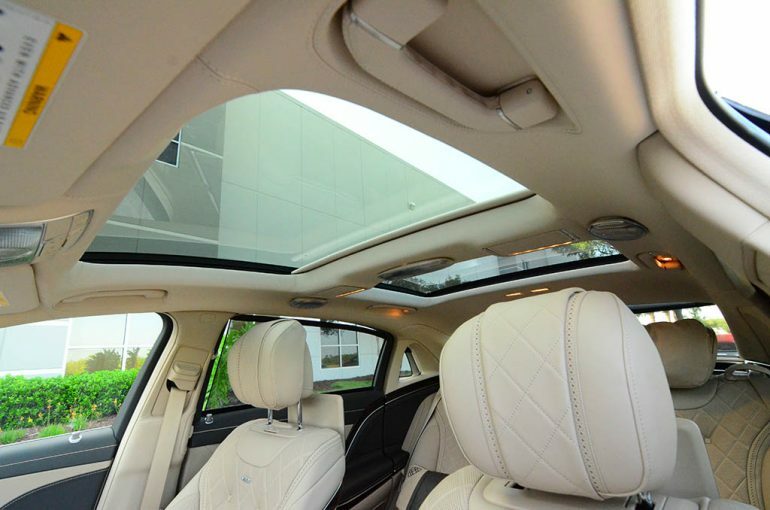 The work of the Magic Body Control suspension system is just that, magical. 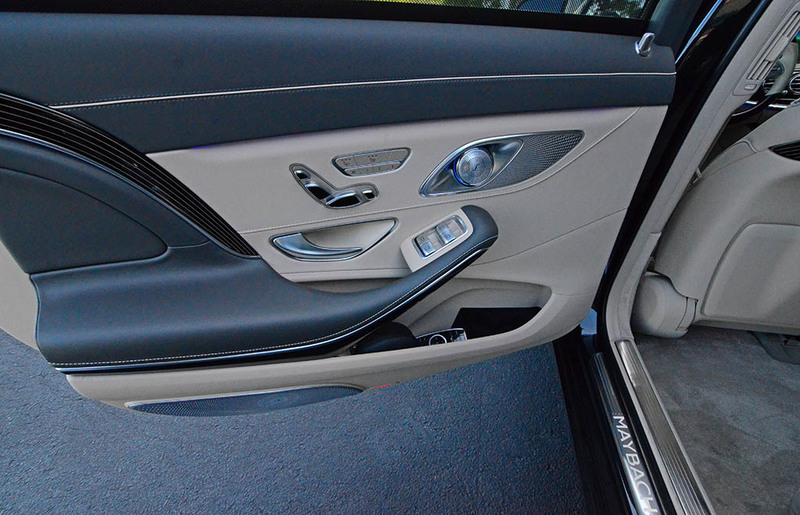 It smooths road imperfections out nearly eliminating them as if you’re always riding on a cushion of controlled air. 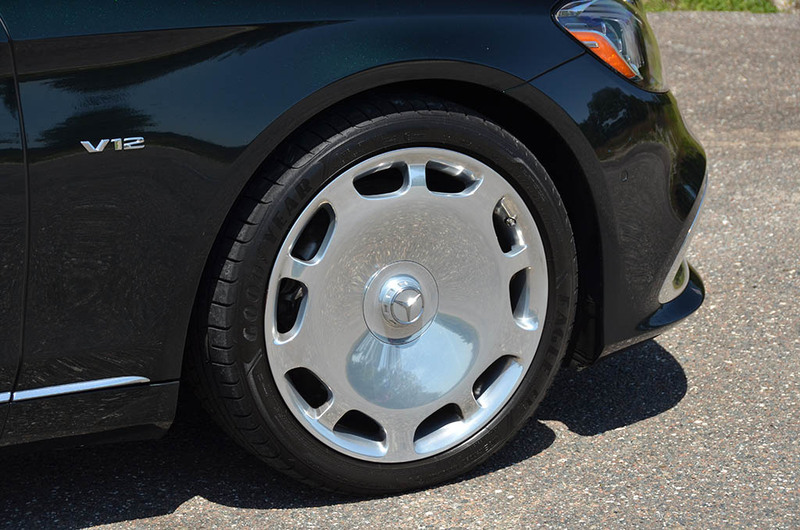 In a nutshell, the system is one that can decipher the depths and rises of road surfaces only to keep the large mass of the Maybach in balance and seldomly give to minor bumps, dips, road creases, or even the occasional repetitive road humps on large bridge spans. The system is like no other and will have you looking in the rear view mirror wondering if you just drove over that same road imperfection that you had to slow to nearly a crawl in your Ford Focus just to keep the passengers from giving you a frowning face. 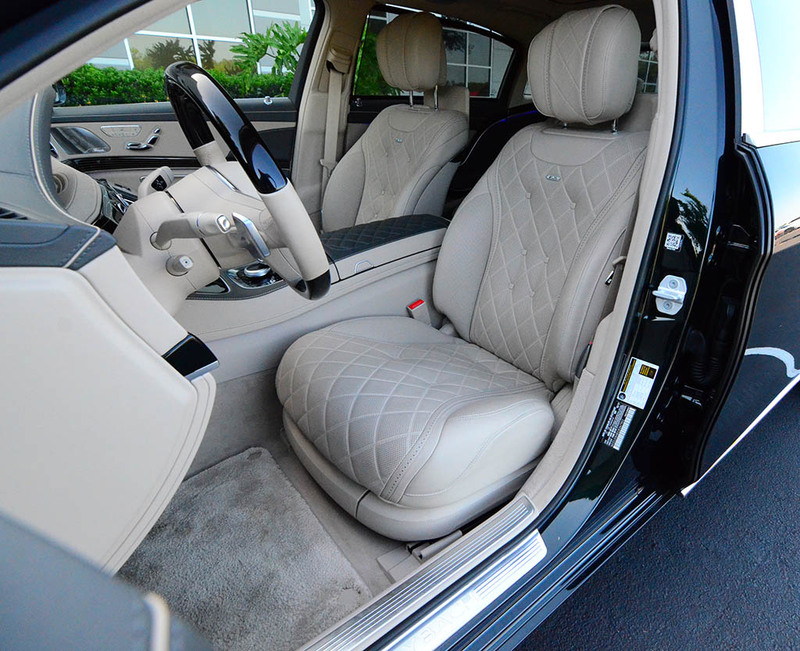 Believe me, the Maybach will erase road bumps in a way that you’ve never experienced. 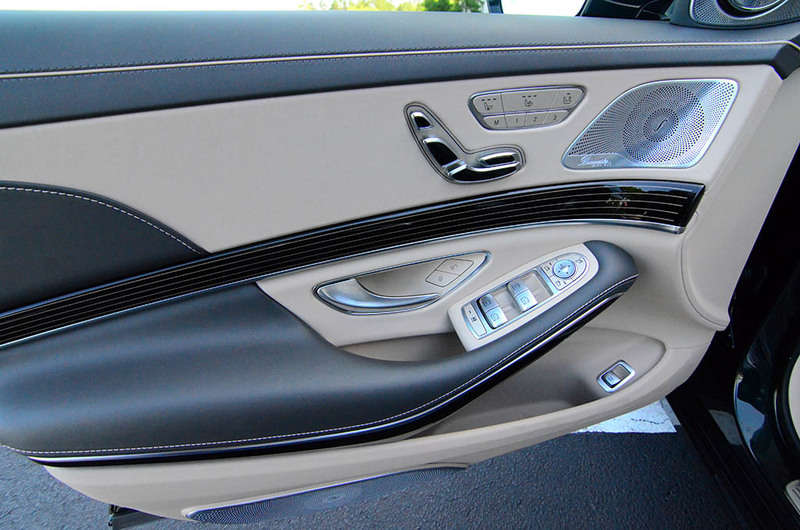 Adding to the remarkable and technologically advanced suspension system is a Curve drive mode, one of three drive modes (Comfort, Sport, Curve) found on the Maybach S650. 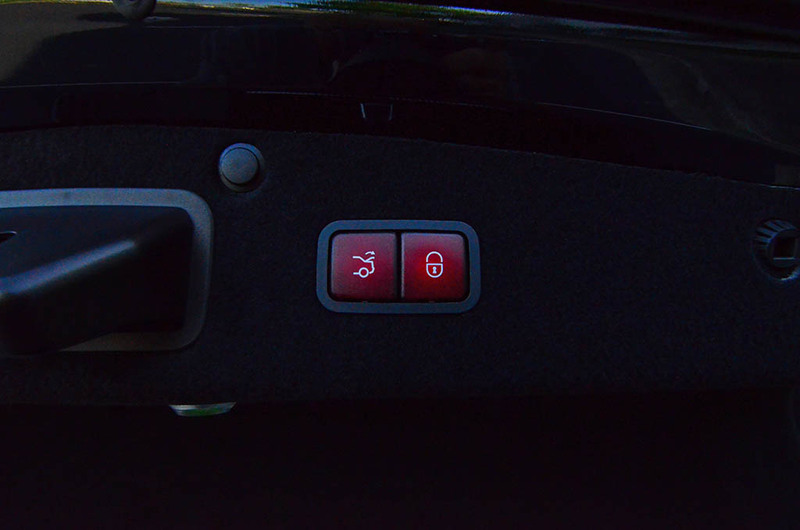 The Curve setting will actively bend the vehicle into a turn, meaning the body will lean in the turning direction much like how a motorcycle does when navigating road curves. 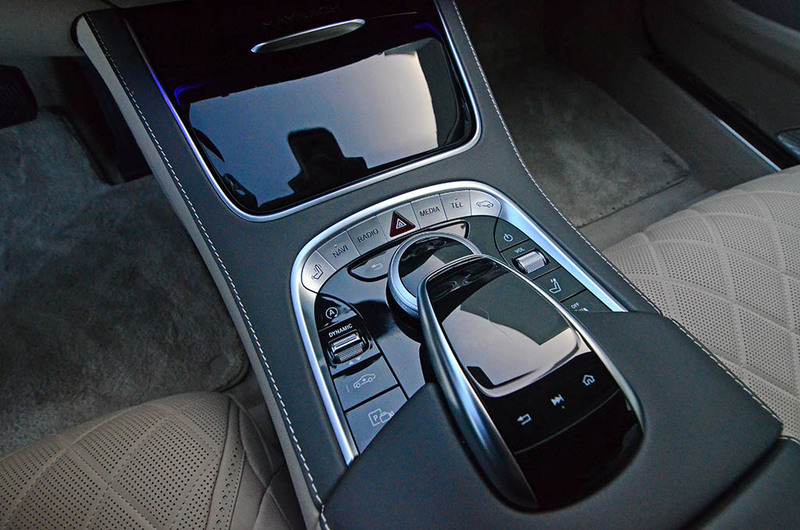 Not only is such a system unique in the automotive world, but it works well to counteract lateral g-forces for the most delicate passenger who has a tall glass of wine in their hand and doesn’t want it to spill while on the curvy back roads of Mulholland Drive. 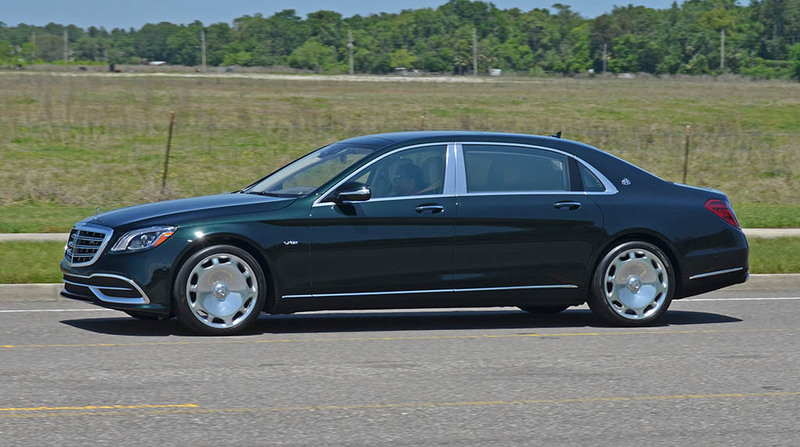 The performance character of the Maybach S650 rests on its Magical suspension system, powerful turbocharged V12 engine, and robust braking system taken directly from the AMG outfit with cross-drilled and slotted rotors (15.4-inch front/14.4-inch rear) clamped down by 6-piston rotors up front. 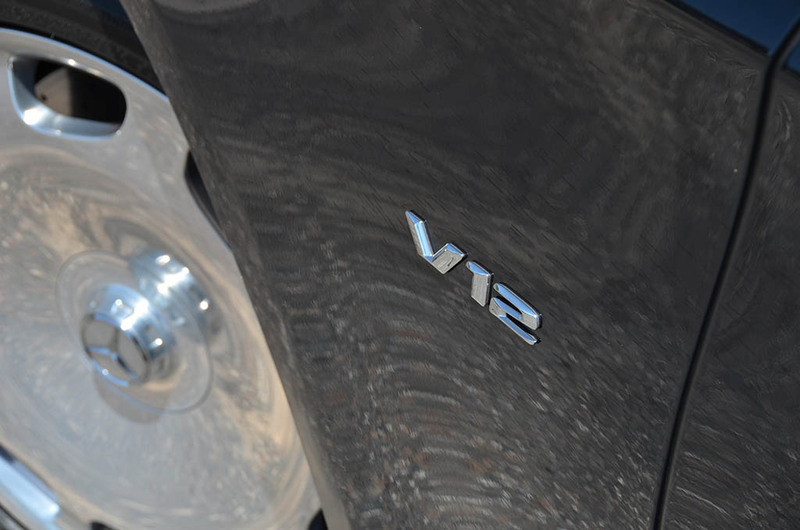 Hauling all 5,296 pounds of glorious aluminum and hand-crafted German engineering up to 60 mph takes a quick 4.6 seconds, and the confidence in control is surprisingly assuring for such a large vehicle. 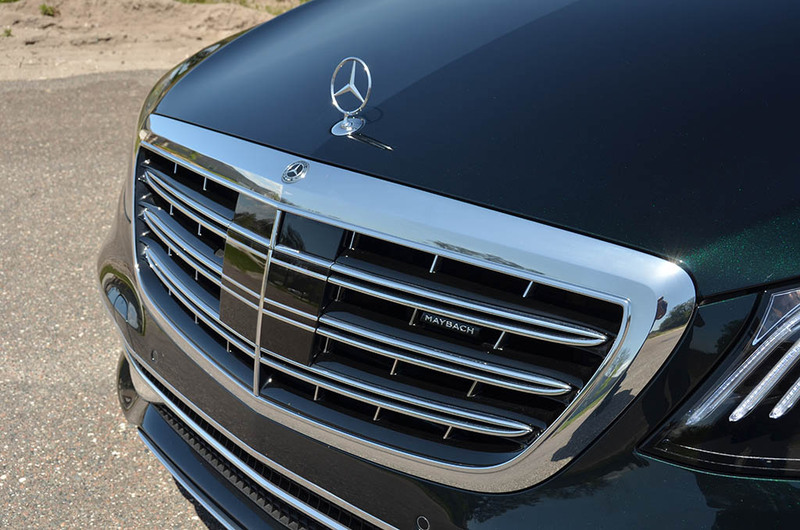 As expected, in true Mercedes fashion, there is a bevy of active and passive safety features with the brand’s most-advanced suite of assist components and autonomy that allows the adaptive cruise control system to assist in steering duties on the highway and around bends in roads with clear markings. 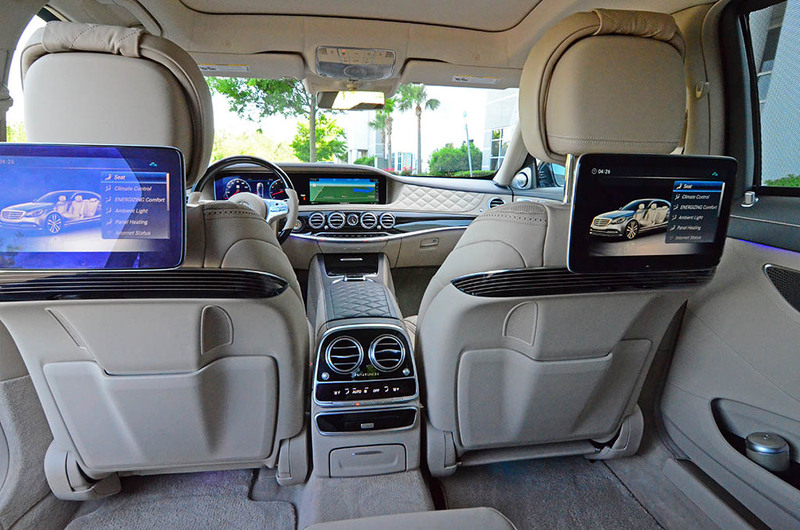 Mercedes-Benz affords an opportunity to shine brighter than ever when it comes to their Maybach brand. 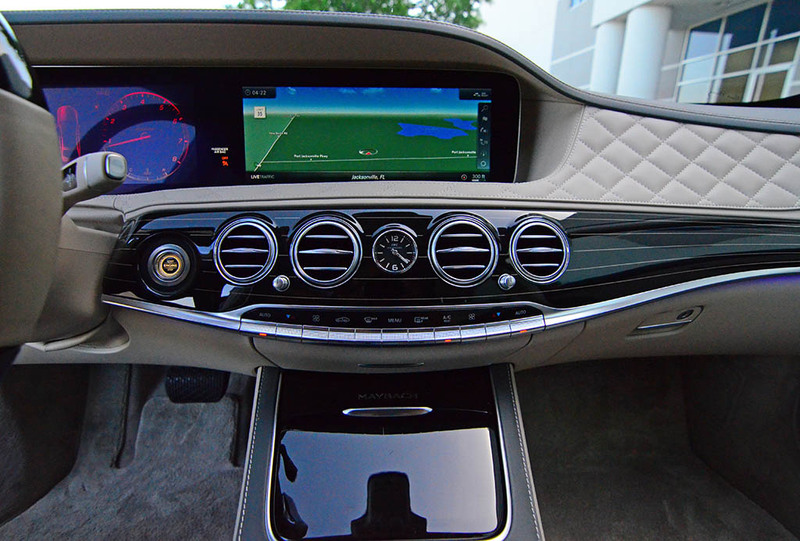 The new 2018 Mercedes-Maybach S650 is evident of the brand’s willingness to give those who can pay to play the lavish appointments that are deserving of their bank accounts. 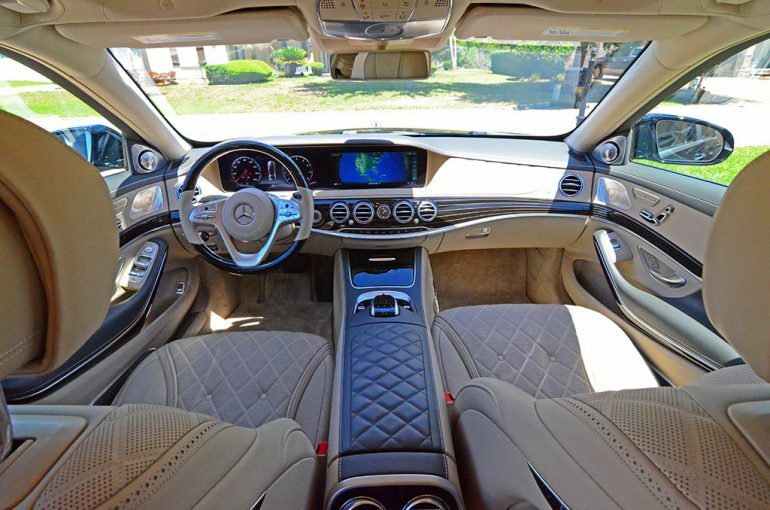 The cost to indulge in the best of Mercedes will set you back about $207,595 for the fine example of German automotive engineering you see here. 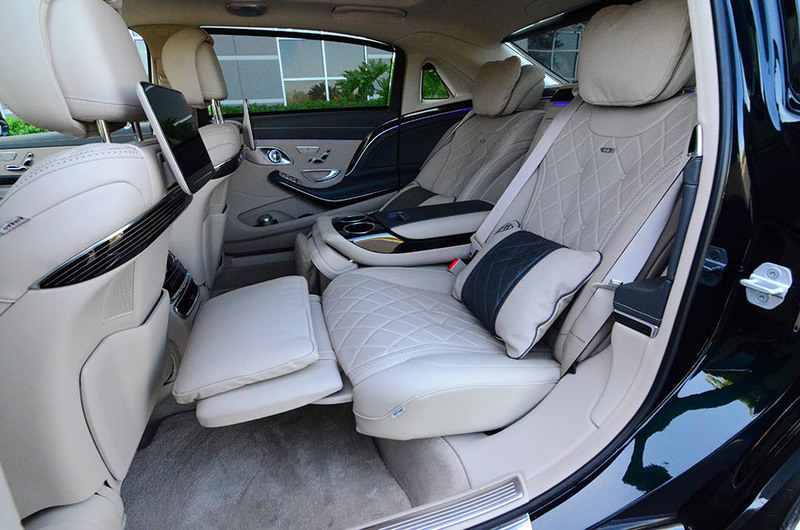 Of course, you’ll have to foot the additional bill for someone to drive you around in the Maybach or opt to drive it yourself whenever the opportunity arises, because it’s great either way. Headroom: front 42.3 in. 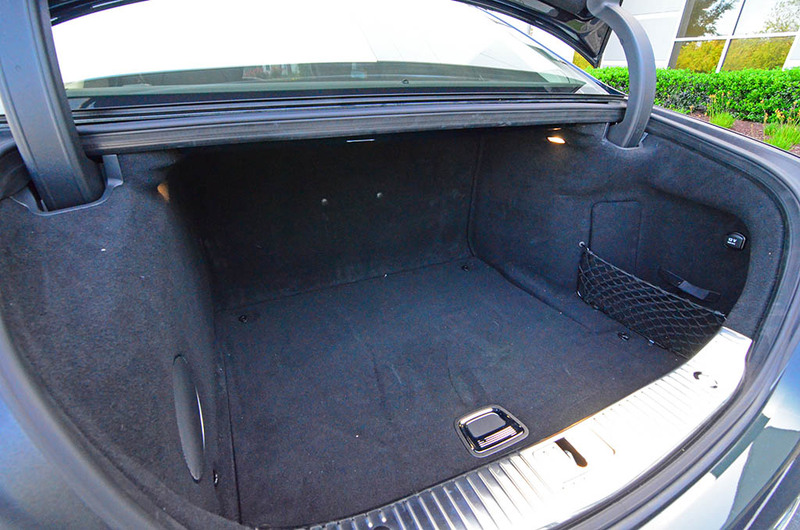 / rear 41.4 in. Legroom: front 41.4 in. / rear 40.0 in.